What is High Pressure Tanning? 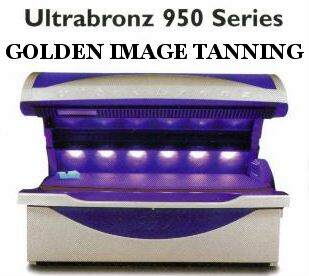 Why are Golden Image tanning beds different? How long has Golden Image been pampering Tallahassee? How does Golden Image save you time and money? a. you only need four sessions to get tan b. one session is only 18 minutes long c. Golden Image is open seven days a week and has been for 22 years d. a Lumiere photo facial (Tallahassee Exclusive) only takes 20 minutes e. Do you still need a Hint for All the above? Who goes to Golden Image? What can you do in 30 minutes that will make you look and feel 10 years younger? Did you ever put a note with your return address on it in a bottle and set it adrift in the ocean or a river? Copyright � 2001-2019 Bullseye Productions Inc. All rights reserved.